I have a confession to make...I've been eating way too many of these lately. Yup. They are seriously dangerous...dangerous in a delicious way! Smooth milk chocolate all smashed up with potato chips for an irresistible sweet-salty sensation! I don't buy potato chips. That doesn't mean they don't end up in my pantry, because my husband has a serious chip addiction that he feeds regularly, and I seem to always end up having chips in my pantry. Sometimes I find a few bags with nothing but crumbs in the bottom. My mouth was in heaven! That's when it occurred to me to melt the chocolate and make clusters. Bam. Idea born. So so simple. Two ingredients. That's it. I wanted to blog about these today, because I think they would make a great last minute sweet treat for anyone who loves that sweet-salty combination for Valentine's Day this weekend! If you prefer dark chocolate, you could totally use semi-sweet chocolate chips instead of milk or change it up with white chocolate! Alternately, try changing out the chip pieces too! Corn chip (think Fritos®) are so good en-robed in chocolate. If you've never tried it you MUST! Totally addictive. 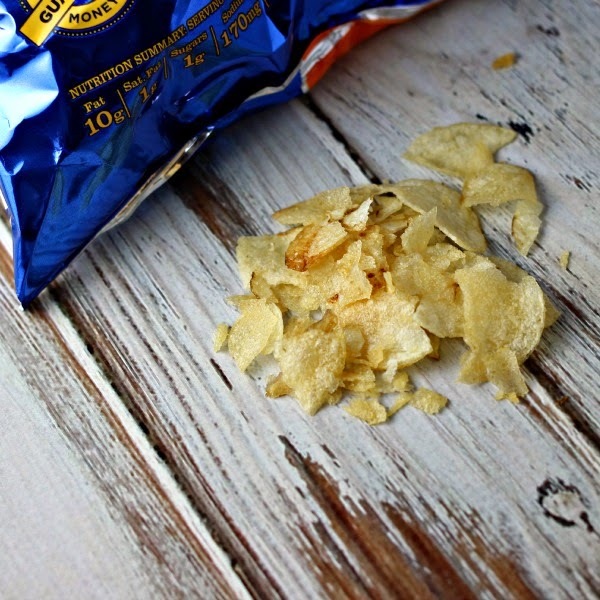 Now when you find those almost empty bags of chips with only crumbs left in the bottom, you have a fun and delicious use for them, rather than tossing them into the trash! 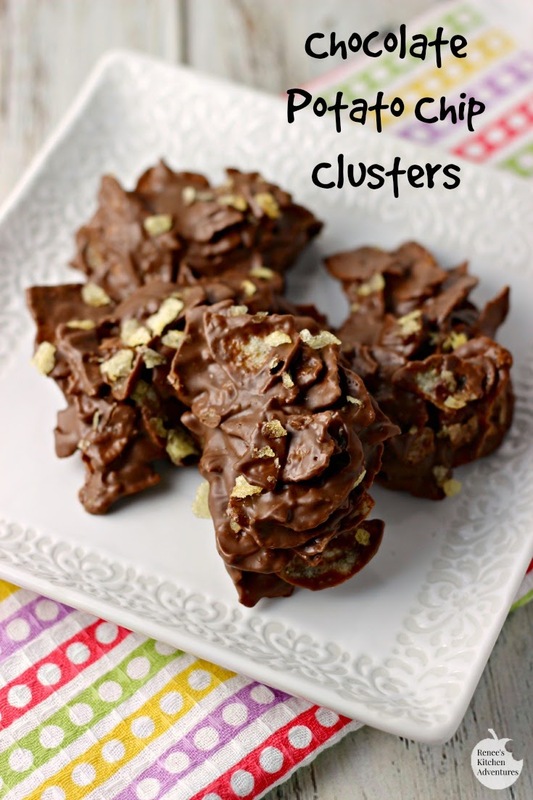 Sweet-salty-crunchy candy clusters with creamy milk chocolate and potato chip pieces! Mix in the potato chip pieces and drop by TBS onto waxed paper. Put in refrigerator for about 30 minutes to allow to set up. Store in refrigerator. Cook time: 00 hrs. 01 mins. That sounds very addictive! Two of my favorite foods combined. Yum! yep those are dangerous! 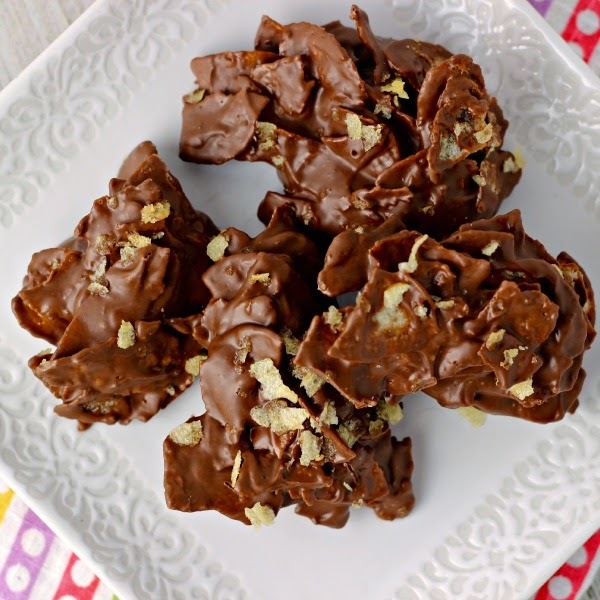 chips and chocolate - that salty sweet - is such a great combination. never thought to make them myself thanks! I used to eat potato chips on top of chocolate ice cream in high school, so I GET it. I'm a huge sweet and salty fan, so I know I'd love these! What a fantastic recipe!! I just made them and am taking them to bingo at our clubhouse tonight. let you know how they go.